>I just posted a CALL FOR SNOWMEN on Facebook this morning. We’ve got 3 1/2 inches of SNOW in Memphis and it’s not done yet. 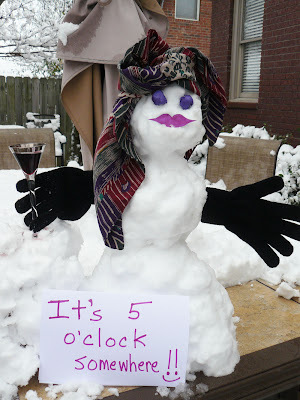 So… get out and build the most creative snowman (or snowwoman, girl, etc.) and post your photos on Facebook. Tag me when you post. I’ll judge the entries and post the winners tonight or tomorrow.